Jupiter, FL – December 11, 2018 – Guanabanas Island Restaurant & Bar will end 2018 in much the same fashion as it began and spent the entire year: offering a beautiful, serene ambiance, coupled with fine food and service, and presenting some highly-entertaining live music. Guavatron and SOWFLO are set to play the venue located at 960 North Highway A1A Jupiter, FL 33477 beginning at 9 p.m. on December 31, 2018. Show is free and 21 over are welcome. “We brought together two of our favorite acts,” says Talent Buyer Matt Cahur. “Both artists come from different places musically but together it will be a great jam rock sandwich for everyone. Guavatron’s improv-based jams never disappoint, neither does SOWFLO’s good time / Island party vibe. We invite everyone to celebrate what’s been an amazing 2018 and ring in what’s sure to be a fantastic New Year with us” A family man, Cahur also heads Roots Music, Inc., is the lead sound engineer and books all of the live music at Guanabanas, and is himself a guitarist. 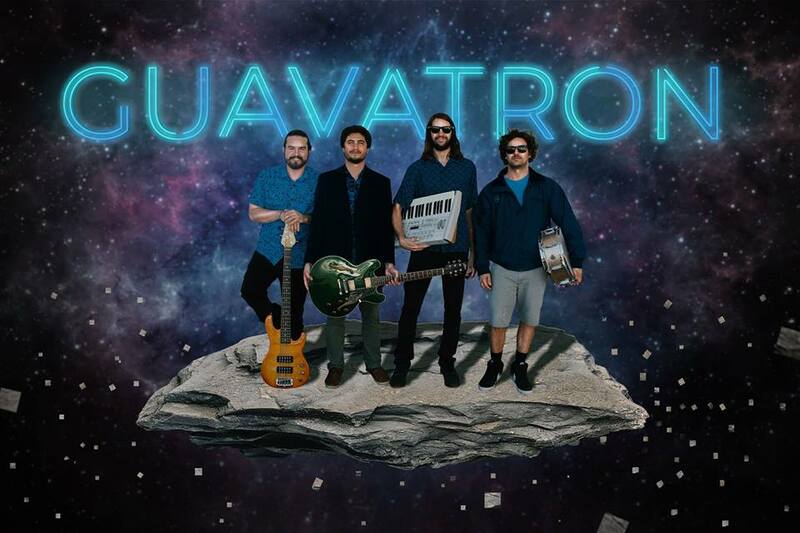 Equal parts tropical fruit, band and transforming mechanized battle robot from another planet, Guavatron is a fusion four-piece based in West Palm Beach. 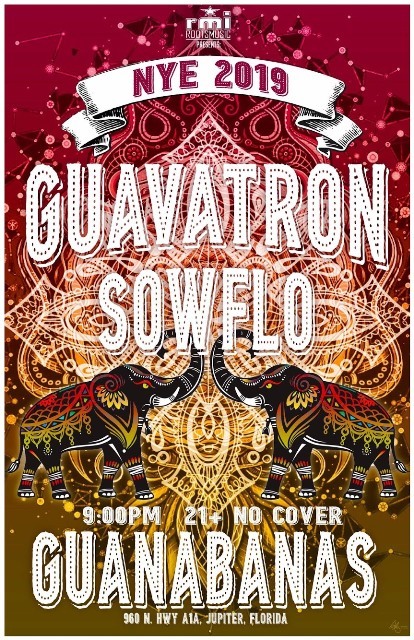 With an emphasis on improvisation, Guavatron creates a fresh sound at every show while staying true to their dance, rock, electronica, and funk roots. They are regulars at Guanabanas’ Jerry Garcia birthday celebration. This year’s performance at Hulaween has put them at the top of the Florida jam band scene, and 2019 looks to take the band to a whole new level. Catch them in this intimate setting for NYE before it’s too late. Learn more about them here: guavatron.bandcamp.com. SOWFLO were last seen and heard at Guanabanas’ Dirty River Reggae Fest and are South West Florida’s rock / reggae musical torchbearers. 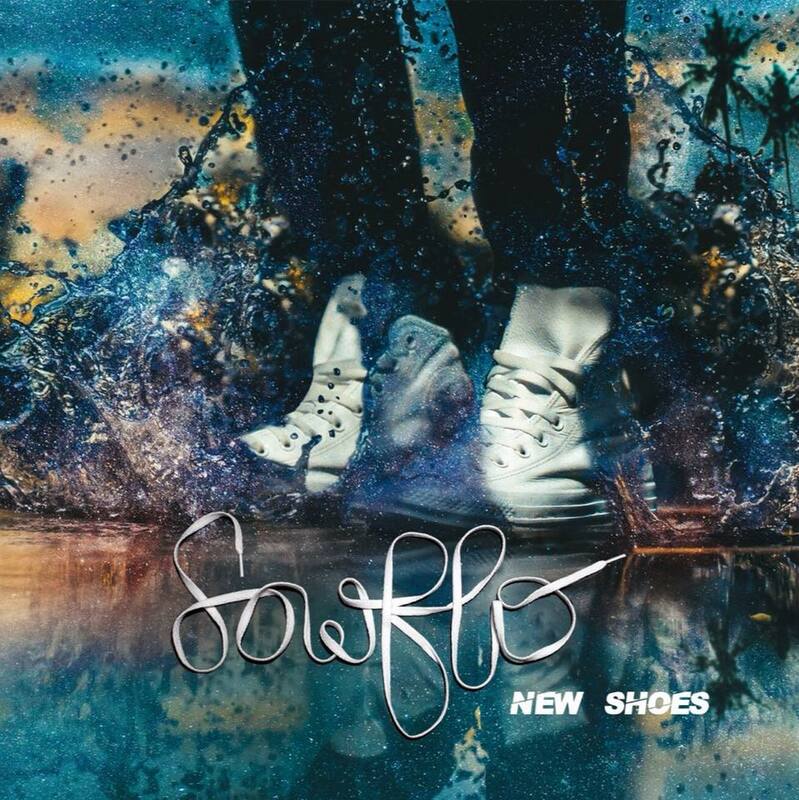 Based in Naples, FL, the band crisscrossed the American mid-west this summer, promoting their upcoming album New Shoes and their latest single called “Amalia”. SOWFLO teamed up with Damain Marley‘s engineer Marc Lee and keyboardist Young Pow to craft their latest offerings, which are dropping in 2019. 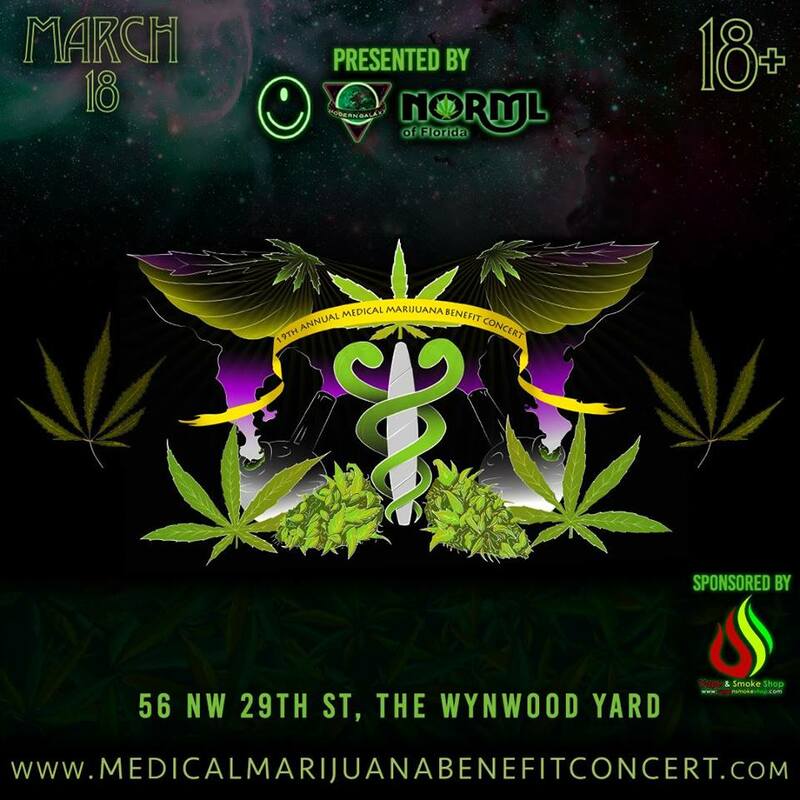 The quintet’s sound is best described as a blend of rock, reggae, acoustic, hip-hop, dub, and surf, mixed in with good vibes and ganja. More details: sowflo.com. Guanabanas is marking their 10th anniversary the Wednesday prior to New Year’s Eve with an all-day celebration featuring food and drink specials and live entertainment. Also, they are unveiling a new dining and entertainment concept in Stuart called TideHouse. 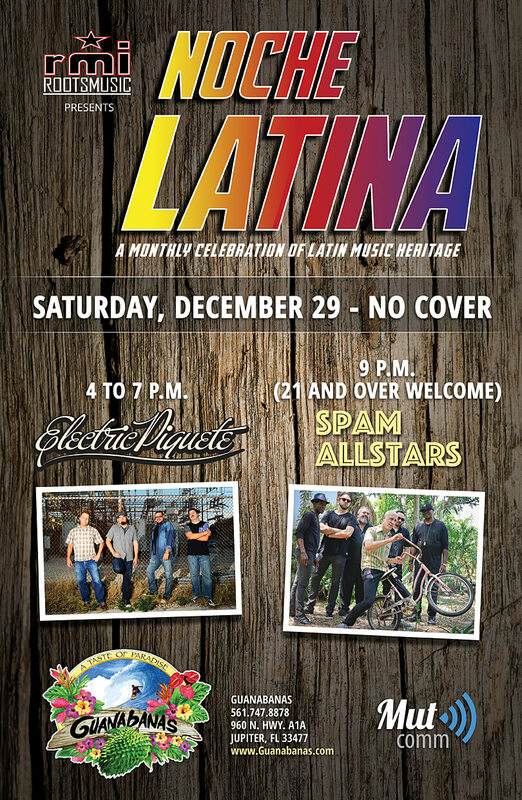 The final Noche Latina of 2018 takes place Saturday, December 29, 2018 featuring Miami’s Electric Piquete and The Spam Allstars. Jupiter, FL – December 6, 2018 – The final Noche Latina / Latin music night of 2018 promises to be a very funky one. Miami’s ElectricPiquete(4 p.m., all-ages) and The SpamAllstars(9 p.m., 21 and over) will grace the stage at Guanabanas Island Restaurant & Bar (location: 960 North Highway A1A Jupiter, FL 33477) on Saturday, December 29, 2018. 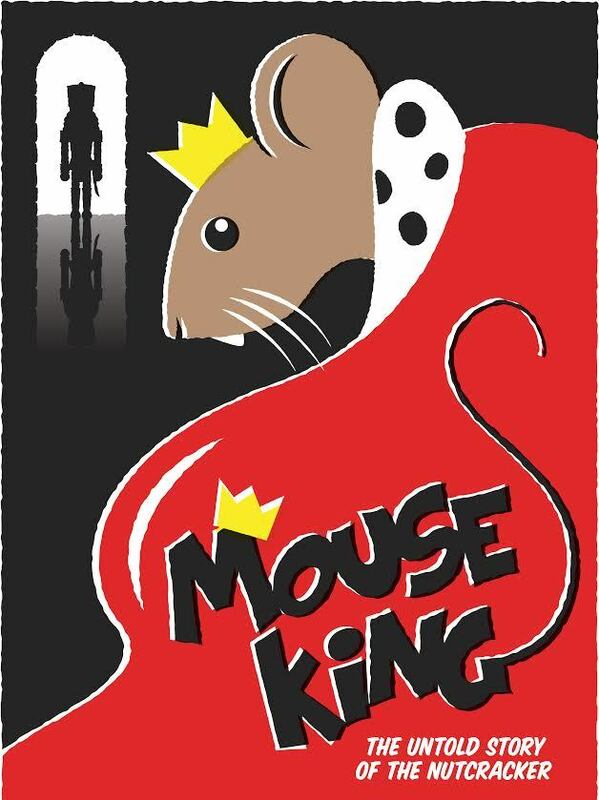 Both performances are free. “These two bands will create one seamless and absolutely danceable afternoon and evening for music fans,” says Talent Buyer Matt Cahur. “We always look forward to having them here and the local community has tended to respond quite positively to them.” Cahur founded Roots Music, Inc., more than 20 years ago, and has successfully managed rock and reggae acts, and produced and promoted local and regional concerts. He is the lead sound engineer, books all of the live music at the venue, and is also an accomplished guitarist. Electric Piquete have the distinction of being the first band to play a Noche Latina, in addition to being two-time Miami New Times’ “Best Latin Band” award winners. 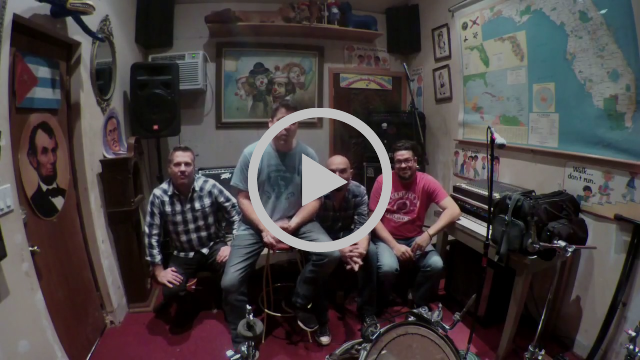 They mix Latin jazz with American funk and rock elements to form a largely instrumental, instantly-catchy sound. The band are currently in preparations to back soul music legend Timmy Thomas (“Why Can’t We Live Together”) in a series of concerts and in the recording studio. 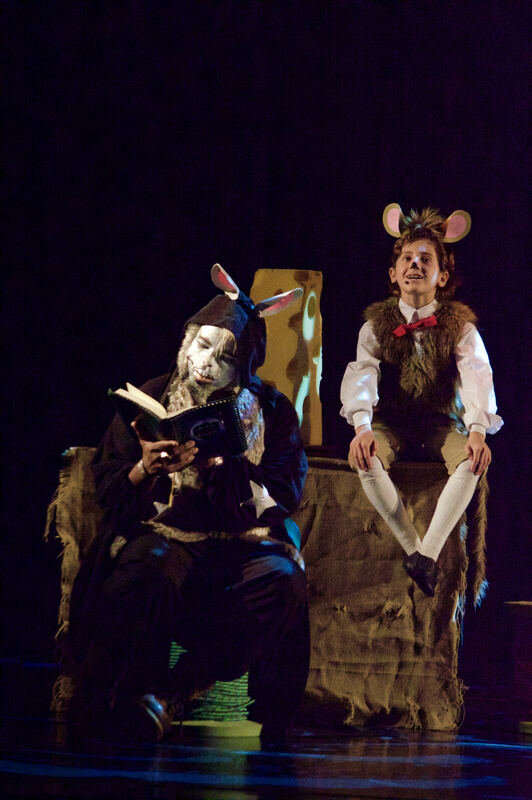 More information:www.ElectricPiquete.com. The Spam Allstars are not only one of Miami’s most popular, well-known, and longest-running and accomplished bands, but they have been nominated for a Latin Grammy and toured nationally. Part hip-hop, part funk, part electronica, they were founded by musician, producer, and musicologist Andrew Yeomanson, AKA DJ Le Spam. The group’s latest release is their sixth full-length called Trans-Oceanic (2016). Learn more at www.SpamAllstars.com. 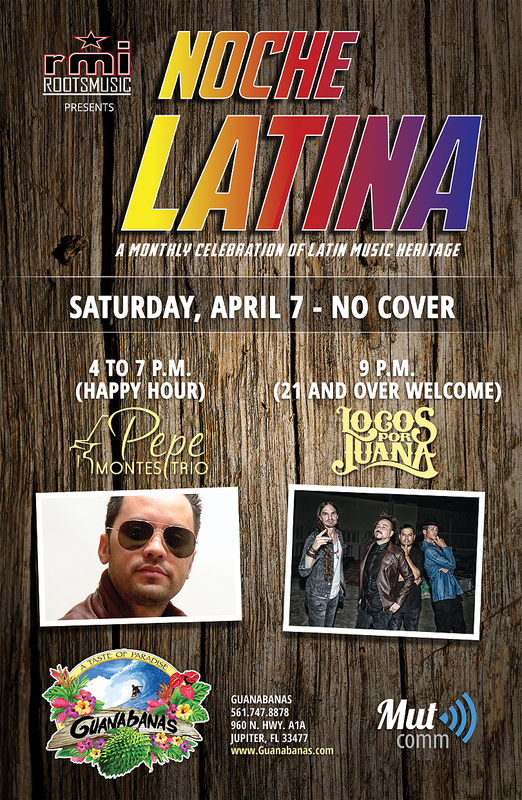 Noche Latina began as a Hispanic Heritage Month celebration three years ago and has remained a very popular recurring event. Guanabanas regularly hosts reggae, acoustic and surf-rock bands, so the Latin flavor serves as a quite an interesting musical counterpoint. Hialeah, FL – August 20, 2018 – If lucky and good, there aren’t many things a band around for 11 years doesn’t get to do or see. Electric Piquete has twice been named “Best Latin Band” by the Miami New Times, garnered much local press, been featured on regional and national news media, played countless high profile (and crappy) gigs, joined the music festival circuit, and even tangled with Hurricane Matthew. There are however, three glaring items on the Hialeah-based Latin funk / fusion band’s bucket list: release a full-length collection, issue music on vinyl, and run a successful crowd-funding campaign. They intend to do all three in one shot. Those interested in contributing to the cause on Indiegogo and accessing the available perks should navigate here: http://bit.ly/EPIGG. The band is offering everything from Skype instrument, theory and social media lessons, to autographed drum heads and set lists, to private performances; perks start at $15. They’ve even put longtime friend and producer Ferny Coipel up for the taking – for $150, you can have him drive to your location anywhere in the tri-county area, and have him make you Cuban coffee while serenading you with the classic Charanga 76 tune “El Café de Hialeah”. In a skirt. The featured perk is the “EP tee & CD package”, which is available for $40. 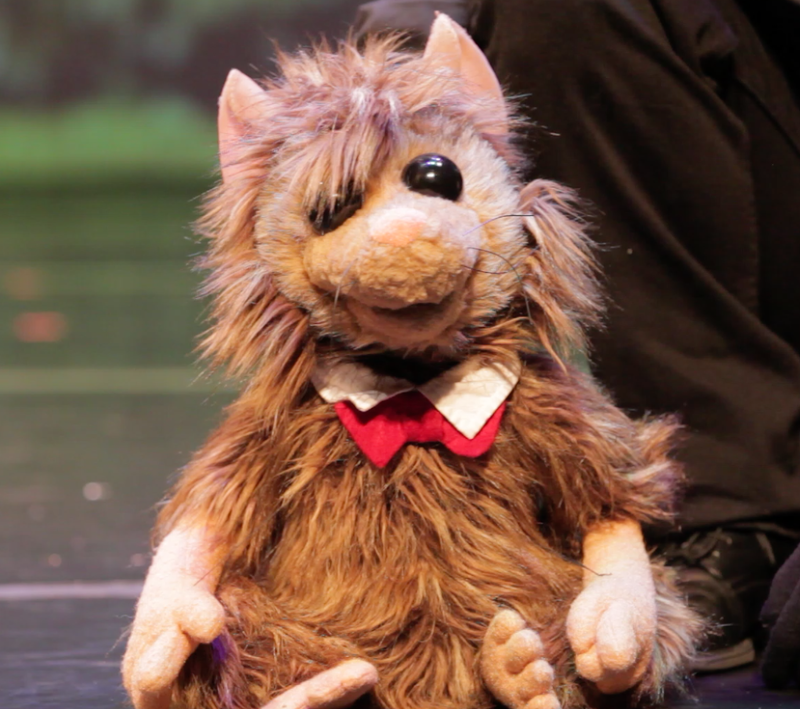 Electric Piquete’s music has been licensed by Lexus, featured in the Emmy-winning Joe Cardona documentary Miami Boheme, and on an episode of CNNGo. The band is a veritable melting pot of influences that range from rock to jazz and spiced with everything in between: funk, fusion, old-school salsa, progressive and R&B. Though mostly instrumental, they feature vocals with three-part harmonies and rapping on several numbers. The bulk of the new material is newly-penned and relatively-new tracks, with a couple of hold-overs from previous recording sessions. There are plans to record a couple of signature cover tunes. In 2016, they issued the Singles Collection, which encapsulated the group’s most recent and noteworthy works. Last year a live version of the relatively new track “Chunk” surfaced on the band’s Soundcloud page. Electric Piquete also features co-founder Ed Rosado on drums, ChrisCorreoso (guitar), and Rich Dixon on trumpet and flugelhorn. The band’s sound is currently augmented by Raymond Ayala on percussion and vocals, Charles Gardner on keyboards, and Robert Smiley on tenor sax and flute. Occasionally, the band features special guests Damian J. Sanchez on saxophones and flute, Maco Monthervil on vocals, and Jose Miranda on trombone. This entry was posted in Blog, Uncategorized and tagged crowd funding, Electric Piquete, fundraiser, new music. Bookmark the permalink. Jupiter, FL – May 21, 2018 – If the popularity of Jah Roots is any indication, the combination of Josh Heinrichs and SkillinJah is a winning one. The two reggae solo artists who were once bandmates in the legendary outfit put out several full-lengths together in Jah Roots, and have since collaborated on three other releases. Issued May 20, 2018, the new EP called Made in California also features appearances by Inna Vision and Preston Lee (Ezzrah). 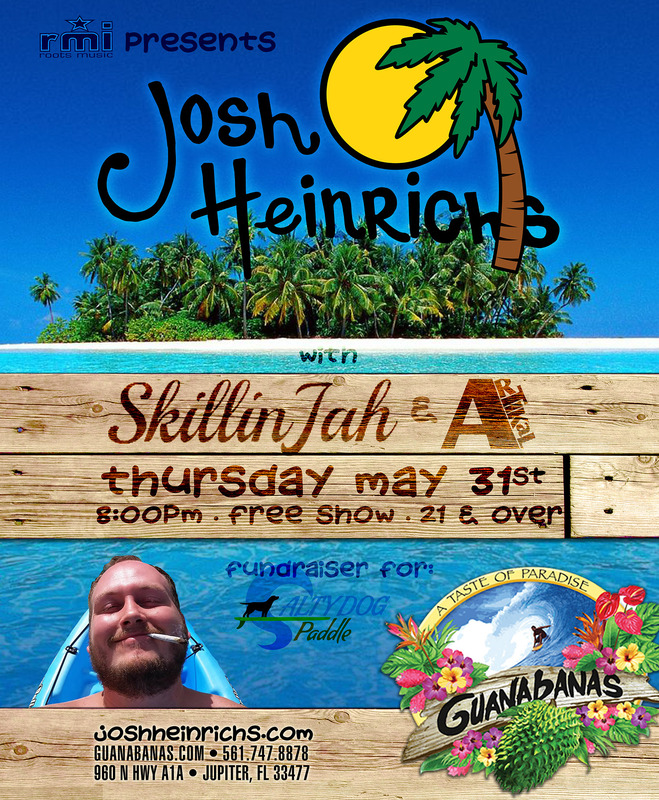 Josh and SkilliJah will perform live at Guanabanas Island Restaurant & Bar (960 N Hwy A1A, Jupiter, FL 33477) with special guests Artikal Sound System May 31, 2018, beginning at 8 p.m. No cover, 21 and over welcome. “We usually reserve Thursday nights for special occasions and this certainly is one of them,” says Guanabanas talent buyer Matt Cahur. “Josh and Skillinjah together is pure musical fire – add the guys from Artikal to this explosive combination and we have the makings of a very special night indeed.” Cahur owns and operates Roots Music, Inc., a Jupiter-based, 20+ year music management and promotions company that handles the live music bookings at Guanabanas; he’s also the venue’s lead sound engineer. Creating reggae music since 2001, Springfield, Missouri-based Josh Heinrichs is not only a successful reggae singer / songwriter, but he’s also a music label head (GanJah Records which he runs along with wife Kaytee), an in-demand touring musician, having toured the entire U.S. multiple times, and hosts is own annual music festival in Springfield called Reggae Fest. Josh has shared the stage with legends such as Ziggy, Stephen, and Damian Marley, George Clinton, The Wailers, 311, Slightly Stoopid and many more. Heinrichs has been featured at California Roots, TX Reggae Fest, Chicago Reggae Fest as well as Wakarusa, Summercamp, Gathering of the Vibes and many others. His release Good Vibes 2016 topped the Billboard Reggae album chart. Born Kyle Bell in Houston, TX, SkillinJah is also known as Baddaflexx. He became hooked on reggae soon after discovering Peter Tosh’s Equal Rights record at age 11. By the spring of 2000, he had begun performing on the Jamaican dancehall circuit, eventually releasing a single on VP Records. Not long after exiting Jah Roots in 2006, he founded the NYC reggae band 45 Shootout. He’s recorded more than 200 singles and worked with the notable producers Dean Frasier and Donahue Baker. SkillinJah is a regular on the reggae touring circuit from Jamaica to New York to Hawaii. South Florida-based Artikal Sound System is a multicultural group unites American, Jamaican and Hispanic reggae culture. The perform nationally and internationally and have already collaborated with Redlyte, The Abbysinians, Apple Gabriel of Israel Vibration, and Biggz General, and shared the stage with Pepper, Dirty Heads, The Wailers, Steel Pulse, Yellowman, Less Than Jake, The Aggrolites, and Jesse Royal. Their last three released have hit the #2 position on Billboard’s Reggae chart. This entry was posted in Uncategorized and tagged guanabanas, jupiter, live music, roots music. Bookmark the permalink. Jupiter, FL – March 6, 2018 – One version of the old refrain goes “March comes in like a lamb and goes out like a lion”. At Guanabanas Island Restaurant & Bar, the month of March will definitely roar with the sounds of several high-profile roots / reggae acts, beginning with Iya Terra on March 15, Pato Banton and special guest Roots Shakedown March 17, and The Expanders with Sensamotion and Dubbest March 22. All performances begin at 9 p.m. except the triple header on 3/22, which begins at 8 p.m. No cover, 21 and over are welcome. 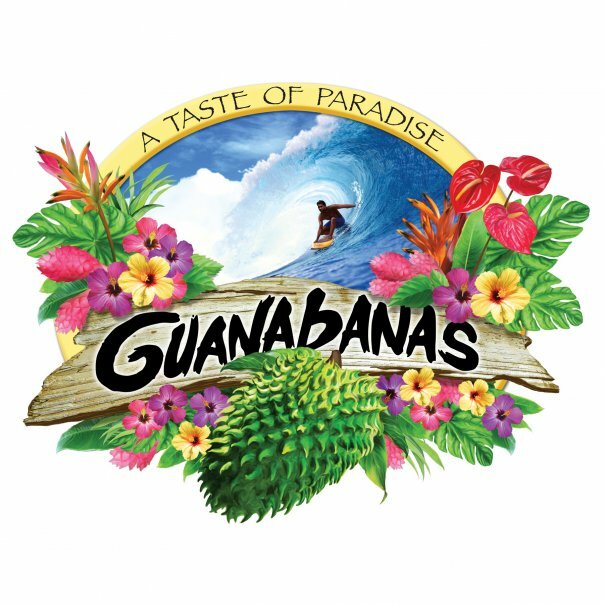 Guanabanas is located on the Loxahatchee River and near the Jupiter Inlet, at 960 North Highway A1A, Jupiter, FL 33477. “Our crowd is definitely roots / reggae-friendly, and do we have a very special treat lined up for them,” says Talent Buyer Matt Cahur. “In about a week’s time, we will have presented one of L.A.’s premiere reggae acts in Iya Terra, British legend Pato Banton with an outstanding local group Roots Shakedown, and another L.A. reggae revivalist mainstay The Expanders, plus a couple of special guest bands.” Cahur is a Jupiter-based guitarist and the head of a music management and promotions company that boasts of a successful 20-year record. In addition, he serves as the lead sound engineer for Guanabanas. Formed in Los Angeles about four years ago, Iya Terra take a modern approach to creating conscious sound waves that has them bound for infinite possibilities. 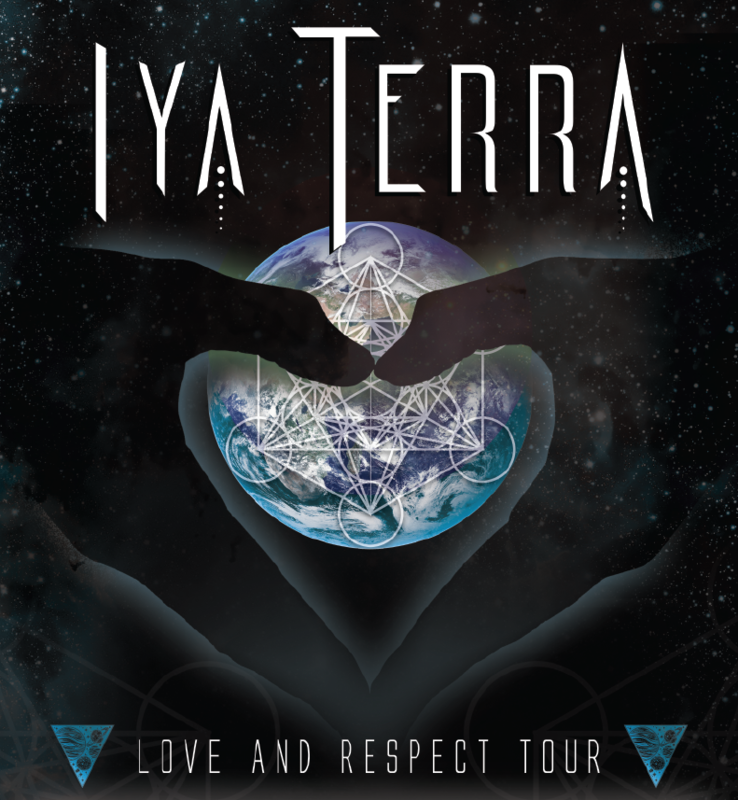 In 2016, Iya Terra reached new heights as they toured heavily throughout the western U.S. with bands such as The Movement, New Kingston, and Arise Roots. Their third studio album Sacred Sound, released on March 17, 2017, debuted at #1 on the iTunes Reggae chart. The band’s March current tour has them winding through Texas and the Southeast before heading to Utah and Colorado. More details: iyaterra.com. 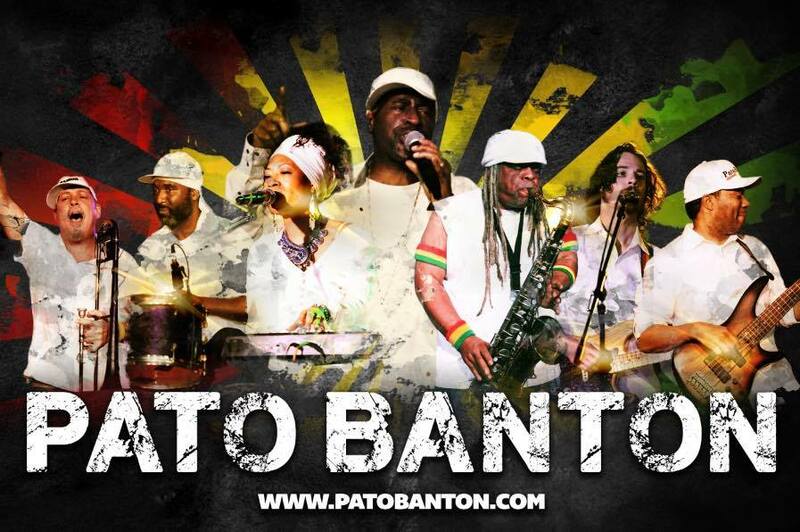 Born Patrick Murray in Birmingham, England, Pato Banton was pivotal to the rise of reggae in the U.K. during the 80s. Several high-profile guest appearances, including with UB40 and Chrissie Hines led to his solo debut, 1987’s Never Give In. He then had a U.S. college radio hit in 1990 with a cover of The Police’s “Spirits in the Material World”. He eventually hooked up with Peter Gabriel’s WOMAD organization, which took him on tour across the globe, peforming concerts and working with disadvantaged youths. Still actively touring, his latest release came in 2008: Destination Paradise. 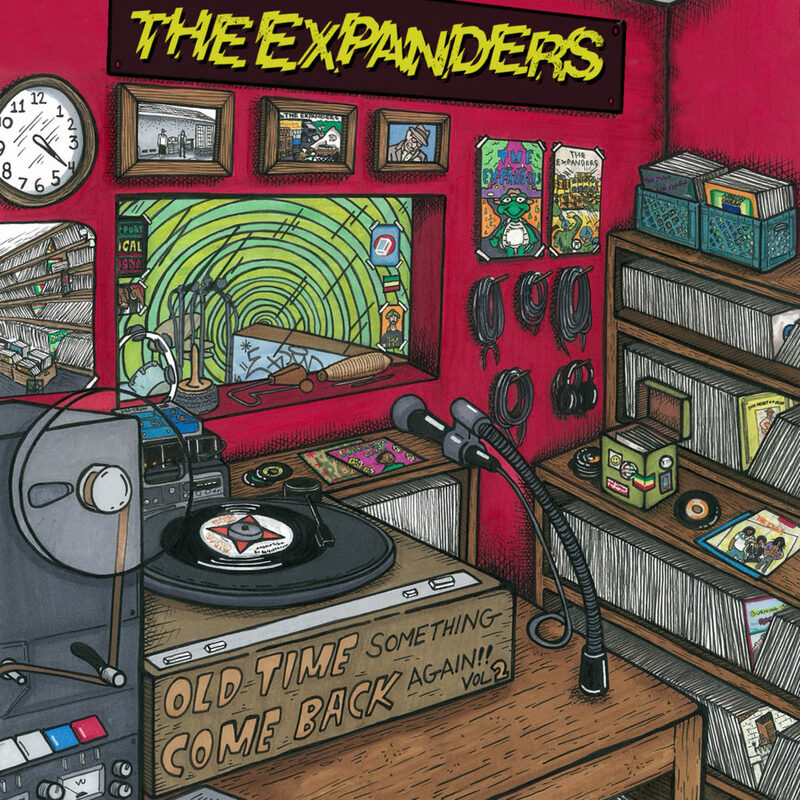 The Expanders are a five-piece unit that pride themselves on representing the “golden era” of reggae. They are currently promoting in support of their latest full-length release, 2017’s Old Time Something Come Back Again Vol 2, as well as a brand-new single called “Blood Morning“, issued last month. The band is John Asher (drums, vocals), John Butcher (guitar, vocals), Roy Fishell (organs), Chiquis Lozoya (bass, vocals), and Devin Morrison (guitar, vocals). More info at theexpanders.net. Guanabanas is an open air restaurant and bar with woven tiki huts and banyan trees towering overhead and hand-chiseled coquina stone pathways underfoot. The team maintains a laid-back, island atmosphere where everyone is welcome. The award-winning menu features a fusion of Mexican, fresh Florida seafood and traditional fare; a breakfast menu is available Saturdays and Sundays. Guanabanas offers a custom catering menu and signature cocktails. Executive Chef Vinny Trupia oversees the culinary operations and also manages a community garden at the neighborhood resource center El Sol. The establishment hosts recurring “Give Back Thursdays” to help the needs of the local community organizations, partnering with willing companies to help drive donations and money where needed, as well as giving away stage space to allow charities to showcase their cause. Past beneficiaries include the Surfrider Foundation, Martin Memorial Hospital, Haiti Relief Effort, the Brave Maeve Foundation, Freedom Flight for WWII Vets by the Martin County Firefighters, Furry Friends, and many others. Guanabanas’ new food truck can be booked for any event by calling 561.747.8878 or emailing foodtruck@guanabanas.com. The establishment recently launched a new weekend brunch menu featuring Build Your Own Donut and Waffle Bars, $6 Bloody Marys, Mimosas, and Margaritas, $12 Bottomless Sangria, and more. This entry was posted in Blog, Uncategorized and tagged guanabanas, jupiter, reggae, roots music. Bookmark the permalink. Jupiter, FL – March 14, 2017 – Guanabanas Island Restaurant & Bar is a veritable oasis for live music, especially of the Caribbean kind. 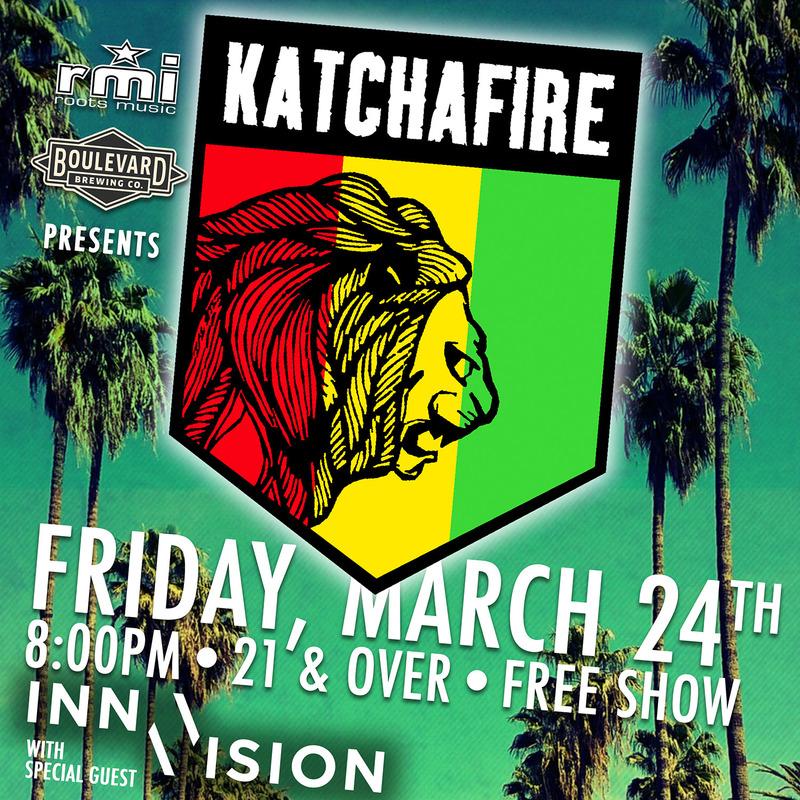 On Friday, March 24, down under reggae greats Katchafire will make a tour stop at the venue located at 960 North Highway A1A Jupiter, FL 33477), for an evening of music along with special guests Inna Vision. Show begins at 8 p.m., there is no cover to attend, and 21 and over are welcome. The event is being co-presented by Roots Music and Boulevard Brewing. “Getting Katchafire to come to Guanabanas is a major score not just for lovers of reggae music, but live music fans in general,” says Talent Buyer Matt Cahur. “They combine ska and reggae and a high-energy performance with incendiary results. Inna Vision is an equally solid get for us and will be a treat for fans as well.” Cahur’s music promotions firm Roots Music has been booking, managing, and promoting reggae acts, shows and festivals for almost 20 years. Originally a Bob Marley tribute band named after the legend’s debut recording with the Wailers Catch a Fire, Katchafire’s history begins in 1997 at the group’s hometown of Hamilton, New Zealand, in the Waikato region of the country’s North Island. Their 2002 debut single “Giddy Up” became the top-selling release of that year, which in turn made the debut full-length Revival a smash. The group now has four albums to its credit and is currently touring in support of retrospective collection called Best of So Far. Learn more at www.katchafire.co.nz. Inna Vision is another island-based reggae outfit – the three-piece roots / reggae / dub band hails from Maui, HI. A hard-working band, the band has played more than 100 American cities during the last decade, producing four full-length and five EP releases. Their latest release is the Highest Grade EP, available on all digital distribution channels. More information available here: www.innavisionmusic.com. Guanabanas is an open air restaurant and bar with woven tiki huts and banyan trees towering overhead and hand-chiseled coquina stone pathways underfoot. The team maintains a laid-back, island atmosphere where everyone is welcome. The award-winning menu features a fusion of Mexican, fresh Florida seafood and traditional fare; a breakfast menu is available Saturdays and Sundays. Guanabanas offers a custom catering menu and signature cocktails. Executive Chef Vinny Trupia oversees the culinary operations there. This entry was posted in Uncategorized and tagged guanabanas, jupiter, live music, reggae. Bookmark the permalink.